He’s tough, he’s cool, he’s been to hell and back, and he’s been eating his way around the world professionally since 2002. Once a humble dishwasher, Anthony Bourdain has built a successful career as a chef, writer and television personality. Bourdain's no-nonsense attitude, sarcasm and “tell it like it is” style has garnered him a large cult following. As a boy growing up in Leonia, New Jersey, Bourdain became aware of his interest in food when he tasted his first oyster. After high school, Bourdain attended Vassar College and worked in local seafood restaurants, which further cultivated his interest in the culinary world. Eventually, Bourdain made the pivotal switch to culinary school and in 1978 graduated from The Culinary Institute of America in Hyde Park. For years Bourdain worked his way up through the kitchen ranks, finally earning the title of Executive Chef at Brasserie Les Halles in 1998. In addition to earning his status as a master chef, Bourdain also pursued his passion for writing. In 1995, Bourdain published Bone in the Throat, the first in a series of mob murder mystery novels. Gone Bamboo and Bobby Gold soon followed. Although Bourdain was already an established writer and executive chef, real success came in 2000 with the release of his New York Times best-selling book, Kitchen Confidential: Adventures in the Culinary World. In 2001 Kitchen Confidential was followed up with a second bestseller, A Cook’s Tour, which lead to the development of a television show by the same name. The premier of A Cooks’s Tour on the Food Network in 2002 was a success. Travel and cuisine fit Bourdain like a glove and in 2005 the television show for which he is most famous, Anthony Bourdain: No Reservations, premiered on the Travel Channel where it thrived through 2012. He switched to CNN in 2013 with Anthony Bourdain: Parts Unknown. He was the executive producer, judge, and mentor on the ABC cooking competition show, The Taste. Bourdain’s career has continued to escalate since the success of No Reservations. He has continued to publish books, including No Reservations: Around the World on an Empty Stomach and Medium Raw: A Bloody Valentine to the World of Food and the People Who Cook. 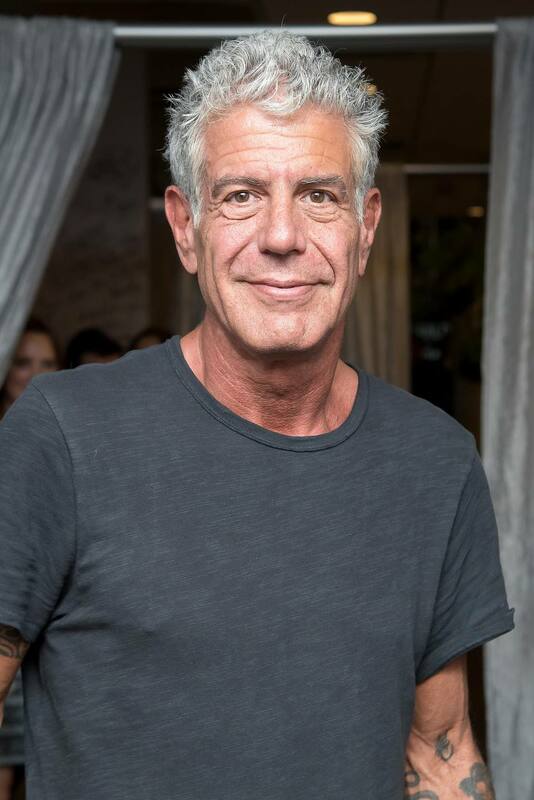 Bourdain’s work has earned numerous awards including a Webby Award for his blog chronicling the Top Chef competition and several Emmy Awards for the television show Anthony Bourdain: No Reservations. In 2013 his show Parts Unknown debuted on CNN and became a resounding success. As of 2018, it was still on the air.